A bag of cute chewy Haribos everyone will love, whatever their age! Perfect as a little present for a child, or just someone who is a big kid at heart, they’ll enjoy chewing their way through these fruity favourites! 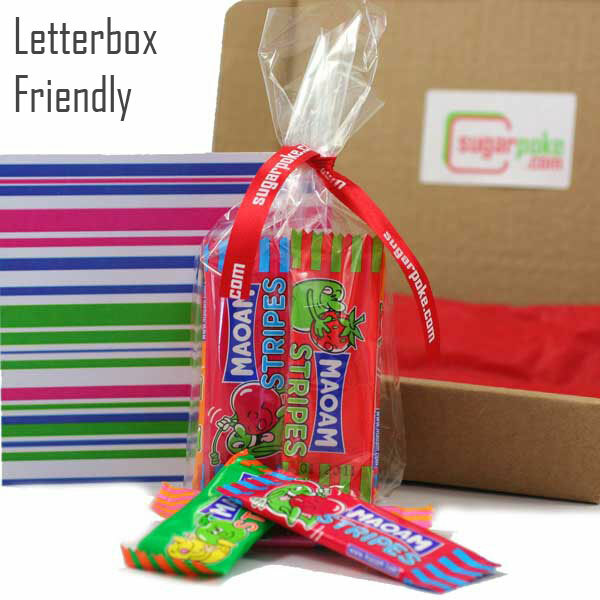 Little gift for kids, teenagers and toddlers - whether you want to say Happy Birthday, get well soon or just a sweet hi! this was amazingly yummy, fruity and chewy and I will be using sugar poke lots more times. I sent these to my brother after he complained he never got anything nice in the post, he was super happy with this letter box friendly package!